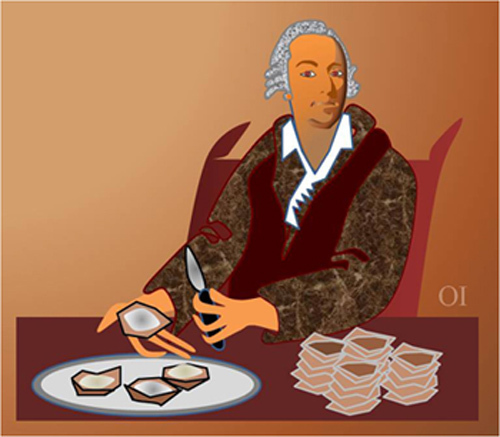 Casanova (1725-1798) supposedly consumed 50 oysters for breakfast and dozens with every other meal. Everything we know about Casanova, we know because he left a voluminous memoir written in the latter years of his life. Born in Venice, he lived briefly in France, travelled to Spain, Germany, and Russia, and always returned home to Venice. He was well-known and successfully sought the company of royalty. Casanova was constantly troubled with debt and devised many ways to avoid debtor's prison. His biggest financial interest was promoting a national lottery. Suprisingly, he was also a scholar and published several plays and a translation of the Iliad. He toyed briefly with a career in medicine and even spent time in religious seclusion. But the main mission in life was enjoying female companionship. Oysters were reputed to be the key to his success with women.